We are settling into our new space little by little. The unpacking process is loathsome, but designing the new space and repurposing pieces from the old space– that part is always fun. I haven’t quite bonded with the new space yet. In fact, when our landlord renovated the interior he chose to re-paint and re-carpet the entire space in two different shades of gray. Wall to wall, floor to ceiling… G.R.A.Y. Now, I like gray. Gray is the new black, right? 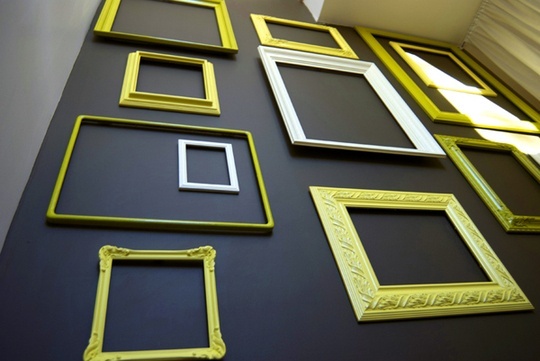 Gray walls are better than Builder’s White and yet they are still neutral enough to play with colors and patterns. Here’s the exact color swatch. It is even called “Lazy Gray” by Sherwin Williams. It should make me feel relaxed and carefree, right? But the space is small and oddly configured and it doesn’t allow for much natural light. So, even Lazy Gray can easily become dreary. Yesterday, I felt like the walls were closing in on me, so I went across the street to the nearest nail salon to get a pedicure, and I picked the brightest color on the shelf just to make me feel better. I realize I have to make friends with Lazy Gray if we are going to be sharing the same living space for the next several months. 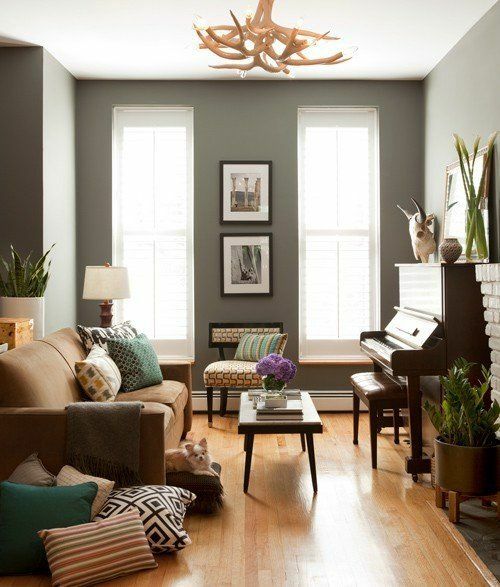 Here are a few gray-inspired interiors that are helping me embrace the gray. 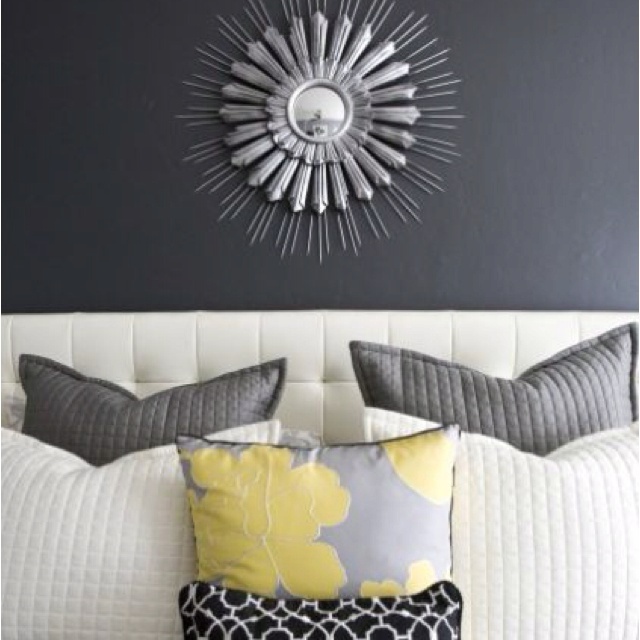 Have you included gray in any of your color schemes? What do you think? Drab or Fab?